Hello Everyone. The CRITTERS BLOG needs help. We have retrieved two of the official soundtracks for the CRITTERS FILMS. We need your help getting the soundtrack for Critters III- by David Williams. 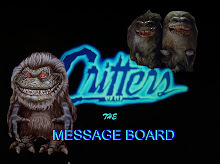 Join the Critters Blog now and get the soundtracks!